What ever happened to timely and fair accident benefits in Ontario? Sometimes, our personal injury lawyers think that car accident law has been purposely designed just to trip people up. c) $110,760 deductible for a pain and suffering award if involved in 3 car accidents! The purpose of car insurance and accident benefits is consumer protection legislation. This seems like a stretch goal (pardon the Kathleen Wynnism) considering the way the law actually works, and how the law has evolved such that the scales of justice are tipped so far in favour of insurers, it makes it almost miraculous if a Plaintiff succeeds at trial. This theme of insurance law as consumer protection legislation was highlighted by the Supreme Court of Canada in the decision of Smith v. Co-operators General Insurance Co.,  2 SCR 129, 2002 SCC 30 (CanLII) If you haven’t read the case, it’s worth a read. An oldie, but a goody! There is no dispute that one of the main objectives of insurance law is consumer protection, particularly in the field of automobile and home insurance. The Court of Appeal was unanimous on this point and the respondent does not contest it. In Insurance Law in Canada(loose-leaf ed. ), vol. 1, Professor Craig Brown observed, “In one way or another, much of insurance law has as an objective the protection of customers”…. In my opinion, the insurer is required under s. 71 to inform the person of the dispute resolution process contained in ss. 279 to 283 of the Insurance Act in straightforward and clear language, directed towards an unsophisticated person. At a minimum, this should include a description of the most important points of the process, such as the right to seek mediation, the right to arbitrate or litigate if mediation fails, that mediation must be attempted before resorting to arbitration or litigation and the relevant time limits that govern the entire process. Without this basic information, it cannot be said that a valid refusal has been given. So, in this landmark case, the Supreme Court of Canada is telling the whole world that car accident and insurance law around car accidents is supposed to be “straightforward, clear” and “directed towards an unsophisticated person“!!! You don’t have to be a personal injury lawyer or industry insider to understand that. Having practiced exclusively in the area of personal injury law for close to 15 years, the last words I would use to describe accident benefits and car accident law are those words which were used by the Supreme Court of Canada in the above noted Smith vs. Co-Operators case. The sheer volume of forms, the time requirements on those forms, and the purposes of the forms used to claim accident benefits is borderline rocket science. If you have ever been hurt or injured in a car accident, your own car insurance company will send you an Accident Benefits Package. That package will be at the very least 30 pages. If you are unfamiliar with the forms, or English is not your first language, those forms will be overwhelming. So, how did we departed from what is supposed to be a “straightforward, clear” system “directed towards an unsophisticated person” to what we have today? A good question! Here the Supreme Court is telling Canadians that it’s NOT the Court’s job to make insurance laws or to devise legal forms to claim accident benefits. That job is left to the government. When is the last time your government ever asked you for your input when it comes to how your car insurance and accident benefits work? There may have been an open mic forum or town hall meeting; but you probably missed it because you’re not an industry insider or you have likely not paid for access or made a significant campaign contribution. The reality is that the majority of input in terms of how car accident and car insurance laws are framed come from the largest stake holder of all; the insurance companies. If this doesn’t scream that the Fox is in then Henhouse, I don’t know what does. Whose interests do you think the IBC is looking out for? 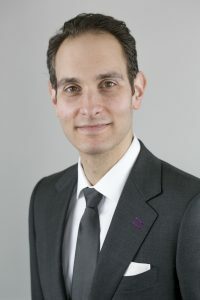 The complexity of the accident benefit regime, coupled with the skewed way that the laws are crafted against innocent accident victims in favour of large, deep pocketed insurers, is further complicated by the delay in having accident benefit disputes and car accident cases heard and resolved. I believe we have departed a long way from the intention of the SABS and the Insurance Act. Accident victims are hardly getting the straight forward and timely benefits which they deserve. Simply claiming those benefits has turned in the rocket science.